What Are the Signs of Skin Reaction? 2 How Long Does the Skin Reaction Last? 4 What Should You Do About Exposure to Sun While Getting Radiation Therapy? While having radiation therapy as a part of cancer treatment, you may notice certain changes in the area of the skin that is being treated. High powered particles or X-rays are used in external beam radiation therapy to kill malignant cells. The particles or rays are aimed at the malignant tumor directly from outside the body. Healthy cells are also damaged during radiation therapy. Between sessions of radiation therapy, skin cells don’t get enough time for growth and development. This results in various side effects including redness, peeling or itching of skin. Hence, you should take appropriate skin care after radiation therapy. Skin reactions are the changes that may occur on your skin due to the radiation therapy sessions you are undergoing as a part of your cancer treatment. Skin reaction occurs only in the area which is getting treatment. For instance, if your chest region is getting radiation therapy, you may get skin reaction only on the area of the chest and not anywhere else on the body. Initially, slight redness and warmth is noticeable in the area of the skin that is being treated. The skin may become dry and get itchy. The symptoms may become more severe with increased itchiness and redness. The itchiness may get increased to the point that it becomes uncomfortable to the patient. By the end of radiation treatment, the skin in that area gets moist with increased redness. In some patients, there may be breakdown of skin with blister formation. How Long Does the Skin Reaction Last? The skin reaction gets worse with the progress of the treatment. The skin reaction is usually most severe during last few days of treatment. It may even continue getting worse for some time (a few days) after your treatment is over. Finally, the reaction will start disappearing gradually in the similar manner as it happened. It may take at least four to six weeks for your skin that got the reaction to heal completely. Shower or bathe daily using a mild soap such as Dove, Cetaphil, baby soap, etc. (unscented) and lukewarm water. Rinse well and pat your skin dry using a soft towel. While washing, do it gently in the area of the skin that is getting treatment. Avoid using a scrubbing cloth, brush, loofah or a washcloth. Tattoos you have received before treatment won’t get removed during washing and are permanent. Other markings may be left during your therapy such as outline of treatment area done with a purple colored felt-tipped marker. These markings can be removed using mineral oil after the radiation therapist says okay to remove them. Alcohol pads or alcohol should not be used on the area of the skin that is getting treatment. Start applying moisturizer on your skin when your treatment begins. This will help in minimizing skin reaction. Any OTC moisturizer without lanolin or fragrances can be used. Numerous products are available that can be used and you can ask your nurse to suggest one for you. 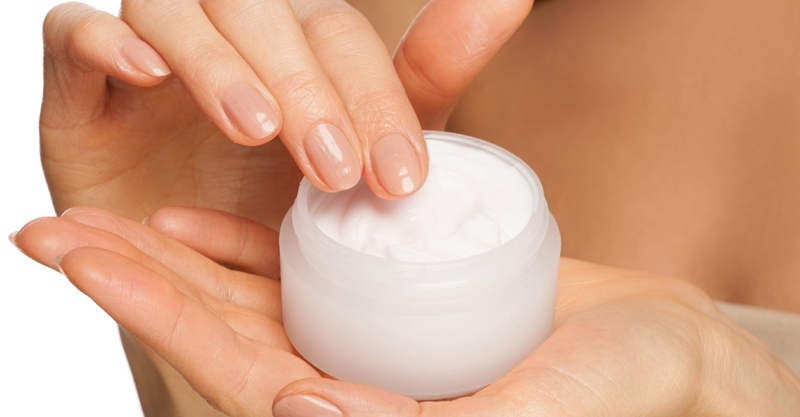 Utilize only one moisturizer at a given time unless you are told by your nurse to use greater than one. How to do skin care after radiation therapy? You should apply the moisturizer on your skin two times in a day. Your nurse may guide you if you are required to use it less or more frequently. If you get the radiation treatment in the mornings, apply moisturizer to your skin, after the treatment and before going to bed at night. If you get the radiation treatment in the afternoon, apply moisturizer to your skin in mornings, at least four hours pre treatment and before going to bed at night. On weekends, apply moisturizer to your skin in mornings and before going to bed at night. Don’t put moisturizer to areas on the skin that are open such as on blisters. A medicine may be prescribed by your physician for the treatment of your itchy skin. Wear loosely-fitted, cotton-clothing on the area treated. Use only those creams, lotions, or moisturizers that are advised by your nurse or physician. Don’t use perfumes, makeup, aftershave or powders in the area getting treatment. Deodorant can be used on intact skin area getting treated. However, stop its use if there is irritation of the skin. Avoid shaving the skin that is being treated. If you have to shave, do it with an electric razor. Stop its use, if irritation develops. Any kind of tape should not be put on the skin being treated. How to do skin care after radiation therapy? The skin being treated should not be exposed to extremes of cold or hot temperatures such as water bottles, hot tubs, ice packs or heating pads. Any patches such as pain patches should not be applied to the area being treated. Don’t scratch the skin if there is itching. Instead ask the nurse to guide you on how to ease itching. What Should You Do About Exposure to Sun While Getting Radiation Therapy? During treatment, it’s recommended to avoid complete exposure to sun of the treated area. A bathing suit that has a high neckline should be worn. A cover-up should be worn when not in water. A big cotton shirt should be worn to cover the area being treated and let it breathe. Chlorine should be avoided as it dries your skin and may worsen the skin reaction. If you go swimming in a pool, spread Vaseline on the area being treated so that chlorinated water is kept away from the skin. Sunblock must be applied half an hour before venturing out in the sun. It must be reapplied every few hours and after getting out of water. Server responsed at: 04/25/2019 2:06 p.m.